This place was perfect, clean, right next to the beach. The staff was super nice and the breakfast was good. Clean comfortable room. The first shower was a little of a surprise as it was salty. The property is close to the Black Beach. 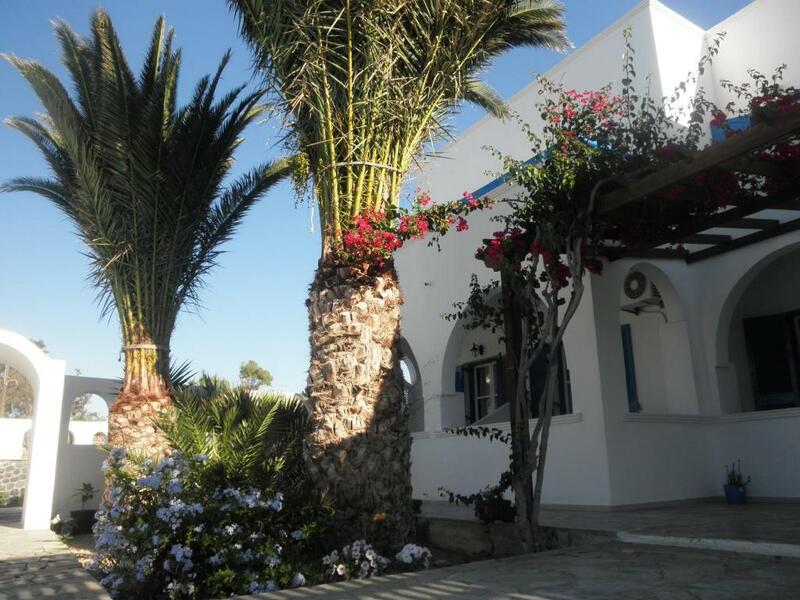 If you like Santorini, and want to keep within a reasonable budget then Perissa is your ideal location. We had our own transportation so driving 15 minutes to Fira was nothing. Very nice people, friendly and warm welcome, nice facilities, good breakfast, nice pool ! Walkable to Perissa beach. Nice pool. Friendly staff. Spotless swimming pool and beautiful, well-kept rooms. The owners were so kind and helpful. Close walk to the beach and a wonderful bakery. Would highly recommend staying here! The staff is very accommodating and very cordial. The room has been well maintained. The room I had was very spacious, much bigger than I was expecting. The balcony was excellent; also very big and a lot bigger than I expected. The room was also very modern and equipped with everything needed. Very friendly and helpful staff who provided a map of the area and offered suggestions of where to go upon arrival. Booked me a taxi when I left; just all in all great service from great hosts. I booked this hotel at very short notice and must have got a very last minute deal because I got so much more than I was expecting for what I paid. I had just left a different hotel 10 minutes down the road which was much more expensive and the room was so much smaller and had no view at all. I would happily have paid what i did there for this property. The pool area is great, they even provide you with towels for the sunbeds which is a very nice touch. Breakfast was also good, I ate both mornings. The staff was wonderful and rooms very clean. We met people who had been coming back twice a year for the past 20-30 years which is a testimate to their customer service. 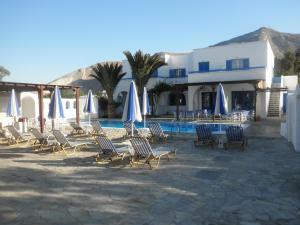 The hotel is situated about a 5-10 minute to the beach and a variety of restaurants. The opposite direction to the main road you'll find a fabulous bakery open 24 hours, a grocery store, and bus stops with easy transportation to other parts of the island. The staff location and cleanliness is spot on. The pool area is so inviting and very clean. Lock in a great price for Villa Clio – rated 8.9 by recent guests! One of our best sellers in Perissa! 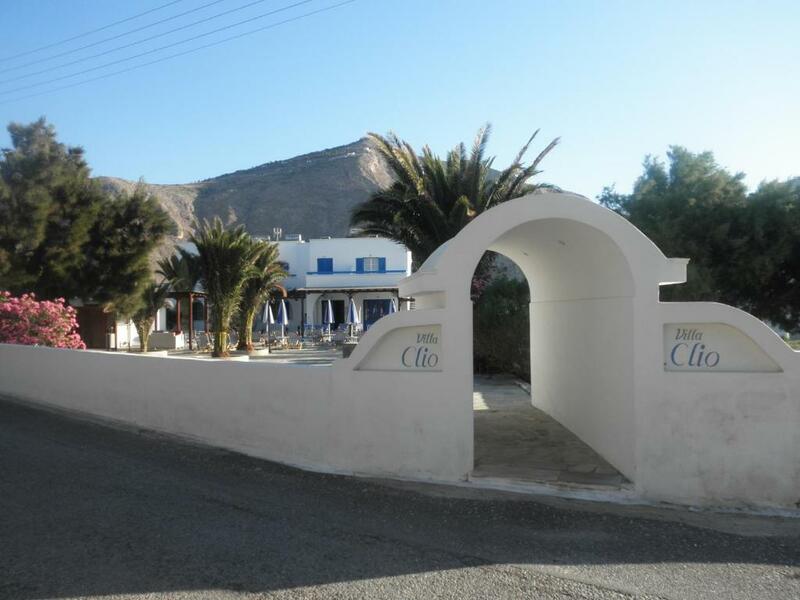 Only 650 feet from the black lava sand beach of Perissa in Santorini, Villa Clio offers a swimming pool and snack bar. It features air-conditioned accommodations with balcony with views of the garden or the countryside. A TV and private bathroom with shower is included in all accommodations types at the Clio. Some units have a kitchenette with cooking facilities. Guests can relax on the sun terrace that features sun loungers and umbrellas. Free WiFi access is possible in public areas. 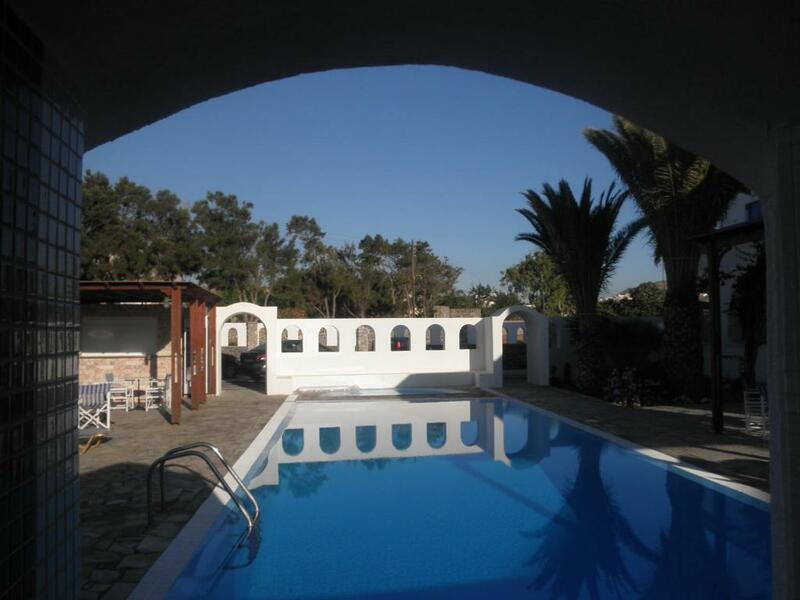 Villa Clio is close to Agios Antonios bus station and near mini-markets and restaurants. Guests have easy access to the resorts of Perivolos and Agios Georgios. Emporio with the old fortress is at 1.6 mi. Staff at the 24-hour front desk can arrange car rental and free private parking is possible on site. When would you like to stay at Villa Clio? 656 feet from the black sand beach, this air-conditioned room has balcony with views of the garden or the countryside. Includes a TV. Located 656 feet from the beach, this air-conditioned studio has a TV and its own kitchenette. House Rules Villa Clio takes special requests – add in the next step! Villa Clio accepts these cards and reserves the right to temporarily hold an amount prior to arrival. Lovely stay, good staff, comfortable room, I liked the location as well since we had rented a car. Would book again! The room we had was too cramped for 3 people. Wi-fi intermittent. Good location for beach, restaurant, bars, supermarket. Good value for money. Friendly helpful staff. Especially liked the large swimming pool. Comfortable beds. Nice sun terrace. Would recommend. The breakfast is a must! The location of the property to Perissa beach is walkable. The pool is amazing. Hard to shower without making a mess. Salty water in all taps/shower/swimming pool. Very friendly receptionist. A 5 min walk to Perissa's beach. Parking spaces in the facility. A nice swimming pool. Very helpful staff. Value for money & quiet location. I have nothing bad to say about this lovely little family run hotel. The rooms are basic but immaculate. The hotel is in a great location for the beach, bakery, supermarket and restaurants. Everyone that works there is so lovely and helpful. Would recommend villa clio to anyone. My friend was vegan so we only had one breakfast at the hotel. If there was a greater choice of fruit and vegetarian alternative it would hzvevbefn great. I loved the friendly welcoming family and staff members who gave us a kettle, crockery and cutlery so we could be self sufficient in our room. The toilet and the cooking place were not clean. There was a lot of noise during the night. The location near the beach . We loved everything about the Villa Clio. The hosts were very friendly as were all the staff. Wonderful breakfast which is to be complemented. Extremely clean premises and pool. So lovely not to have to fight for sun beds. The sunbathing area is so spacious. We soon got used to the little walk to the beach and the restaurants and bars! Also nice to have such a lovely mix of personalities. Staff very helpful, I emailed and they booked airport transfers & taxi when needed.